In an earlier blog I talked about what an inter-dimensional being was- a type of theoretical or fictional entity existing in a dimension beyond our own. Entities able to travel between dimensions (such as via inter- dimensional doorways or portals). 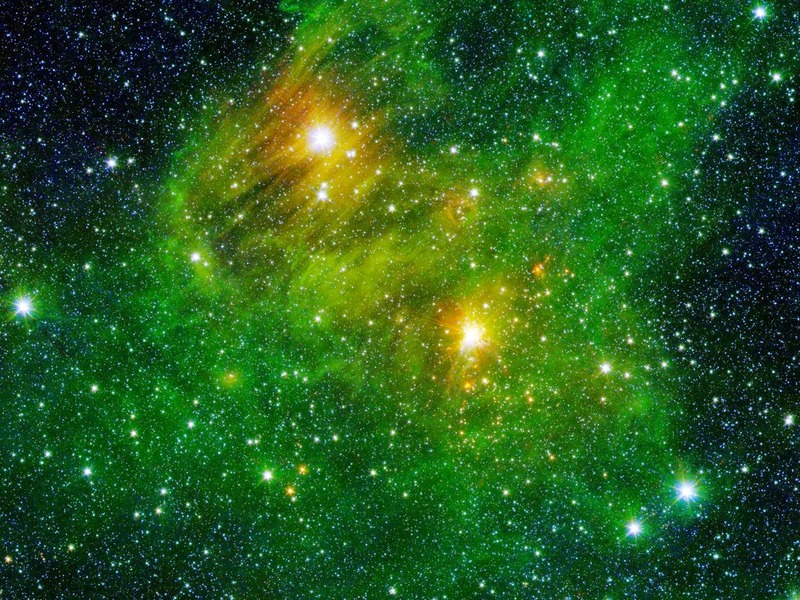 Are we seeing something outside our reasoning and our galaxy? Are we being mislead to doubt ourselves with the confusing messages we have been told to believe by government officials that UFOs and E.T.s don't exist? This week I'd like to talk about how inter-dimensional beings can possible play a part in a haunting. It seems that these possible E.T.s , ghosts and paranormal activity can have a connection! A possibility exists that ghosts and UFO's are a related phenomenon. There are certain characteristic of both that suggest that there may be some common ground. 1. 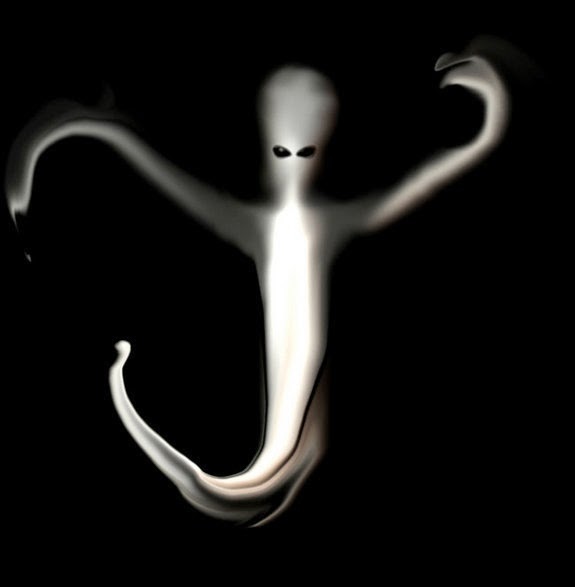 UFO's and ghosts both have been noted to appear out of nowhere, and then suddenly disappear. Where do they go?This gives credence that there is indeed other dimensions from where they are coming and going. 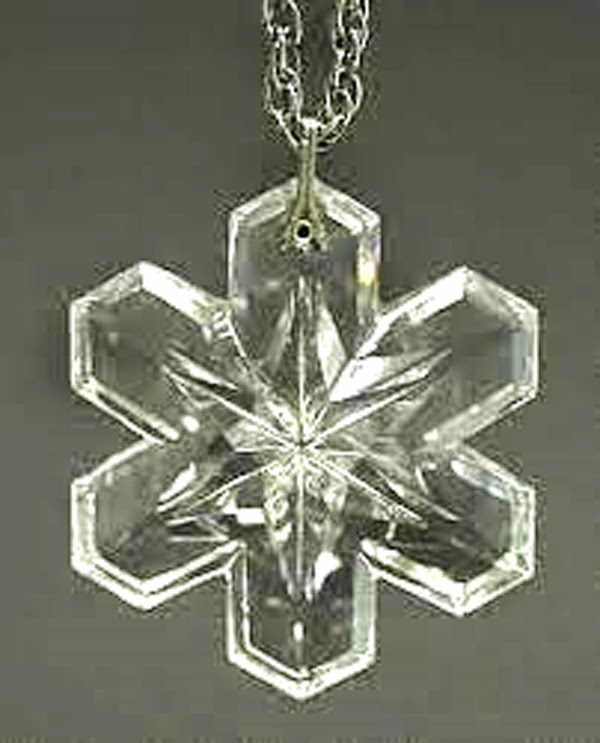 Example: Once you seen an object like I did, in this case a crystal snowflake pendent, at my deceased friend's house, and literally appear out of thin air and fall from the ceiling and drop on my head you want to ask- From WHAT dimension did it drop out of? Gorham silver and crystal pendant that dropped on my head from the ceiling. 2. UFO's and ghosts seem to have a matrix of energy surrounding the area where they are present. Example: We have used our camera with full charged batteries(6 hours of life) in my deceased friend's house and seen the batteries drain within an 45 minutes to an 1 1/2, 2 hours tops while into the investigation. We then would have to a hook up a long extension cord to the camera to walk around and continue the taping. Sometimes the camera would vibrate and shake on its own when it was resting on a table. No explanation for that. 3. Spatial distortion may occur near the ghost or UFO. 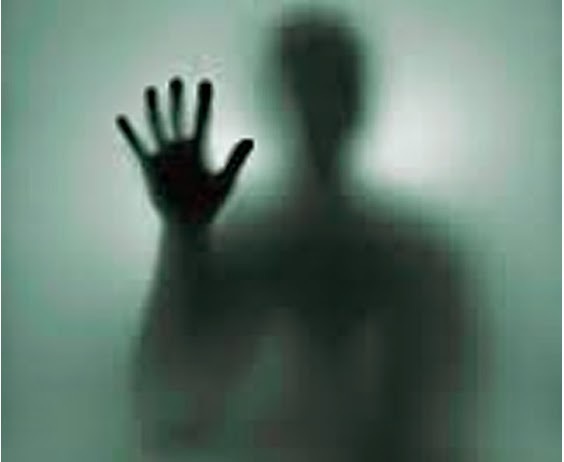 Eample: We have captured on our video camera, waves of disruptive energy ripple through our viewing lens at my deceased friend's basement (which was highly active and told later a large portal was there). 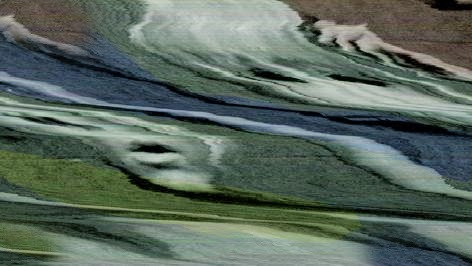 The first part of the tape was fine-then the next 3 minutes the tape rippled and waved in patterns and jumped with no audio recorded every 10 seconds until it just stopped. We felt there was something wrong with the tape or camera but the rest of the 9 minutes we captured on tape was fine. Then the tape went blank and we had to replace the tape! 4. Do UFO's and spirits come from some other realm of existence, and able to transcend the time/space continuum? When this occurs, is the spirit or UFO within an area of space/time distortion, and will manifest within a pocket of energy? Example: That's why we have such frequent reports of lights going out, camera equipment failing and video tape batteries draining from paranormal investigators when they seem to be near a "haunted location" and when a spirit is trying to communicate. Cold spots are prime indications that a spirit is near and sucking the energy surrounding it to manifest. In our stay at the "Estate of Horror" for 10 months we witnessed all these phenomena first hand and can attest to its validity. On outside investigations people report of highway lights going out in a pattern, car batteries dying suddenly and then restart later like nothing was wrong and energy power plants shutting down without warning that seem to happen when a sighting of a UFO has flown overhead. Do UFO's, spirits, and otherworldly beings utilize an energy vortex field as a means of travel? This energy vortex may consist of a inter-dimensional portal and this perhaps becomes like a super highway. 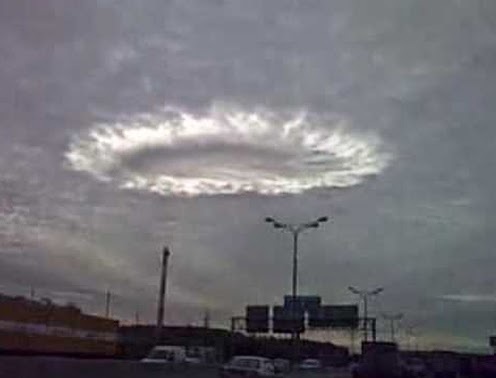 A vortex field may be the preferred means of transit for UFOs, spirits, and other celestial beings. Entering the portal into the vortex field would likely transform all matter into streaming energy,(theory) and at this higher state of being,transference to other levels of existence would likely be instantaneous. So Have you seen an inter-dimensional being? 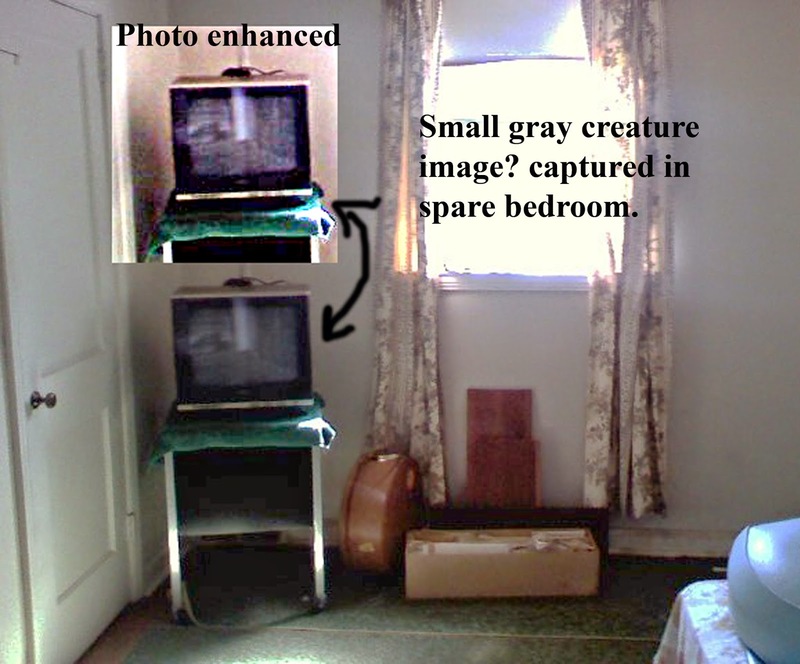 Yes, we captured something at the Estate of Horror in the late months of cleaning out the house.There were 2 incidents that at the time seemed unrelated but later realized they were the same visitation. August 2009: Our friend/s son came with his high end camera to take some photos at the house with our permission.He walked around the rooms and suddenly stopped at the spare room which we called the "Cat Room" in my book, Estate of Horror. Bill F.Jr. said he heard a scratching and other weird noises coming near a closet in that room and snapped some photos. Later he sent me the photo and told me it was a really strange image captured in front of the portable T.V. (right near the closet) but the "thing" wasn't reflected on the screen in was in front of it! Here it is: In our opinion it looks like a small creature hunched over and you can see it's ear? overlaps the left side of the TV-so it's not a reflection. In fact there is a refection over top of the image-and the creature is in back of the reflection! Later in October 2009, when Laurie Hull, well respected psychic medium and her team came to help us with the haunting at the house and try to "cross over" my deceased friend, she was quite shaken up and taken aback when she saw an inter-dimensional being in the dining room. She said what she saw "scared the hell out of her!" She described it as a small grayish 2 foot tall creature scurrying around the dining room. She instantly felt it was not human but an inter-dimensional or ET being. Later I showed her the photo that Bill Jr. had taken in August and she said it looked like the same creature. Photo on left is the original color image cropped. I added warmer tones (sepia to see what could be brought out from a cooler tones.) There is different details on the sepia color photo. We have never seen anything like this before but our medium wasn't too surprised as she told us by having an active open portal at my deceased friend's house all types of spirits and outer worldly beings can come through. This was further explored in our TV episode shown on Destination America's "A Haunting". Here is the link to our episode if you missed it that aired on Sunday night ,Dec. 28th 2014) Our episode was called appropriately, "Portal of Doom"! You can also read my book, Estate of Horror and find out what happened next! FYI: I am currently writing the sequel- DARK TRANSFERENCE- hopefully to be published by this summer.